Science for all: Núcleo de Astronomía UDP invites to talk about inclusion in scientific research In the conversation “The advantages of diversity: equitable and equal participation in science”, where visually impaired astrophysicist of the International astronomical union office of astronomy for Development, Wanda Díaz-Merced will participate, we will discuss the importance of making the study and research of science more accessible for the whole community. The study of the Universe surrounding us needs a diversity of perspectives that can analyze it from different angles. With this conviction the Nucleus of Astronomy UDP organized the panel “The advantages of diversity: equitable and equal participation in science”, inviting scientists, educators and people with disabilities to collaborate for an inclusive development of it. Science is an area of knowledge that grows rapidly, however, it is still difficult to access for people who, having the curiosity, ability and interest to develop it, find it difficult to do research due to barriers such as lack of access to laboratories, or the fact that the data treatment is almost exclusively visual. 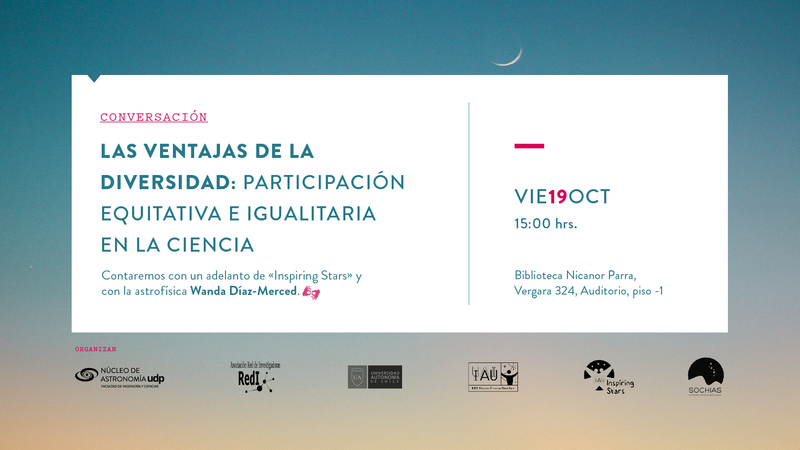 The objective of this activity is to talk, together with specialists in different areas, about the current state of inclusion in science in Chile, and to chart paths to follow. The participants of the panel will be Wanda Díaz-Merced, astrophysicist and participant of the International Astronomical Union Office of Astronomy for Development, International Astronomical Union Inspiring Stars and developer of a sound system to convert large amounts of data into audible sounds, Sandra Fuentes, Director of the Santa Lucia School for the Blind, Sergio Vásquez, astronomer of the scientific area of the Directorate of Education of the Mirador Interactive Museum (MIM), Juan Carlos Beamín, astronomer and scientific coordinator of the Communication Center of Sciences and the academic Bachelor of Mathematics and Master of Science Teaching, Paula Fuentes. 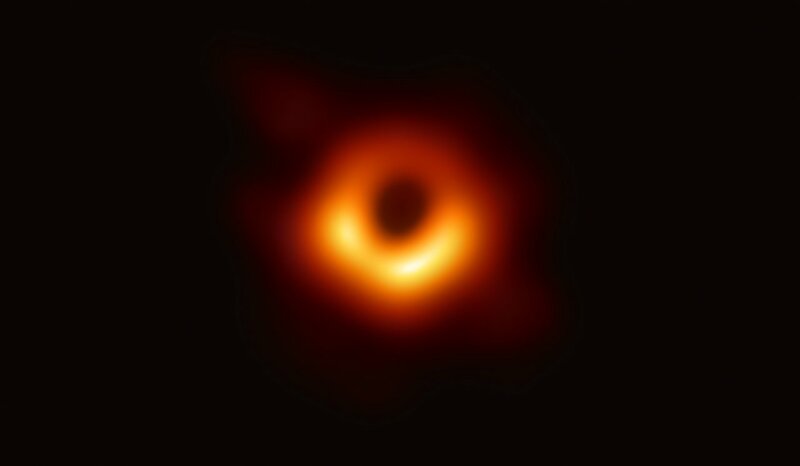 In addition, there will be an advance of Inspiring Stars, the itinerant exhibition of inclusive projects of the International Union of Astronomy IAU that was inaugurated in the General Assembly of the IAU last August in Vienna, Austria, and that will visit Chile next year. The Giant Magellan Telescope Organization (GMTO) will also be present, with tactile models of the solar system, the Moon and the stars, along with the project “Dedoscope: Discovering the Universe”, which has been dedicated to developing astronomical experiences for people with visual disabilities. 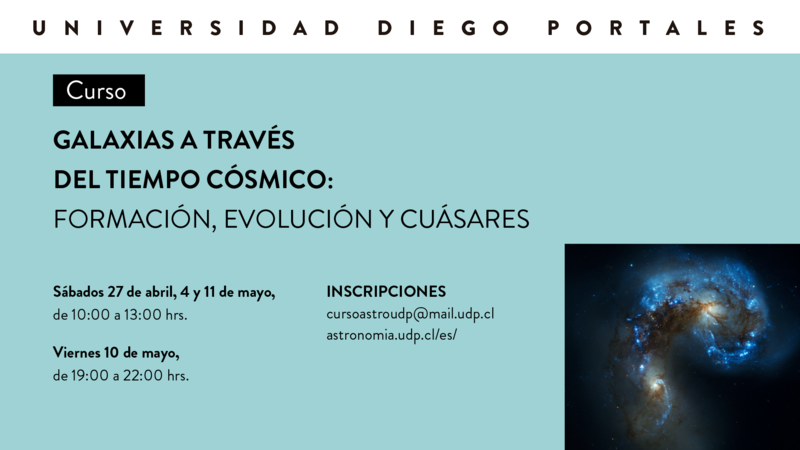 This event is organized by the Núcleo de Astronomía de la Universidad Diego Portales, Red de Investigadoras, Universidad Autónoma de Chile, Inspiring Stars and Sociedad Chilena de Astronomía (SOCHIAS). Invite Inspiring Stars, International Astronomical Union (IAU), Office of Astronomy for Development (OAD). The event venues are accessible with wheelchairs and there will be interpreters of Chilean Sign Language (LSCh), thanks to the support of the Chilean Society of Astronomy SOCHIAS with the project “Breaking the Silence”. Astrophysics creator of a system of data analysis through sound. Originally from Puerto Rico, she obtained her PhD from the University of Glasgow in Scotland. She also spent time doing research at the Harvard-Smithsonian Center for Astrophysics. A long time collaborator with the OAD, Wanda has worked on projects such as AstroSense and run workshops at the school for the blind in Cape Town. She is currently expanding on her work in improving Accessibility and encouraging greater inclusion in Science through her work in Astronomy. She is on a 3-year post doctoral research position funded by the South African National Research Foundation. Wanda visits Chile in the framework of the “I interdisciplinary Congress with a gender focus in Chile”, to be held between October 22nd and 26th, organized by the Network of Researchers and the Autonomous University of Chile.